Breathing a sigh of relief, the party pulls themselves together. They slap a bandage on Nessendra, who then heals Veidt and generally throws out healing spells to the rest. They prod the enormous spider corpse and look up at the canopy for any signs of others. Luckily, this one seemed to be on it’s own. So, off they go. But wait! Guy yells out to the group. He’s just remembered something. When he’d been napping on Kethra’s pack, he’d had a dream. A communication from beyond, even! He’d heard this disembodied voice, calling itself Dee Em, telling him that the temple/tomb they’d run away from was actually only a level one dungeon, which he had clarified was a really easy place to go. Totally excited, Guy tried persuading the others to go back. At first, the party looks at him in disbelief, baffled that he’d want to go back to that terror house of doom. However, armed with his +8 in persuasion, the others soon fall prey to his silver tongue. Flashing a debonair smile, solid arguments like, “You know you want to“, “It’ll be fun”, and the all-powerful “Come ooooon”, have everyone scratching their chins in contemplation. The parties responses soon change to “Earlier, I really thought that was a terrible suggestion”, “I can’t quite put my finger on it, but that just sounds like a great idea”, and “You know, you really make some good points there.”. And so, the party turns itself around and treks their way back in record time! It’s noon day when they arrive at the stone entrance door of the temple/tomb. Kethra and Bach go about lifting it open again, while the others shove another block under it. Sweeping into the large room again, the noon day sun pouring in through the opening at the top, they immediately notice that the stone statue in the center has been toppled over, the stairway beneath exposed. Not only that, but all the bones they left scattered about have mysteriously vanished. Still assured by Dee Em’s words, though, they venture down the stairs with gusto. Checking the first room, they notice the sarcophagus’ top has moved, but seeing no danger, venture on. They arrive to the scummy pool room again, but the long basin has been emptied somehow, the watchful skulls now settled at the bottom. Only that wasn’t the strangest part. Not only was the pool empty of water, it was actually bone dry! Not a speck of moisture. Guy bets it only took one Ounty sheet to dry up the whole thing. The others, never hearing of such a drying device, look at him strangely but otherwise ignore him. They make their way down to the black sand beach next. The stone is uncovered again, and the boat looks thrown upon the beach, it laying on it’s side. It is extremely quiet, they realize; the chanting no longer in occurrence. Taking that as a good sign, they wrestle the boat off it’s side and back into the water, jumping in afterwards, raring to go. The moments pass. Nothing happens. Looking around the boat, they see the candle that once burned is nothing but a nub; it’s flame snuffed out. Ignoring it for the time being, they try out various ideas to get the heavy boat moving, and after some exhausting efforts, manage to move the boat two feet at about a quarter mile per hour. Situating themselves back into the boat, Veidt easily lights the nub with a cantrip. A jerking lurch, and they’re off! Coasting along, the party members chat about past adventures of by-gone days. As the conversation goes on, they almost miss a soft burble of water to their sides. They peer over, checking the water, and two thick tentacles are slowly rising out of the lake to either side of them! Bach uses his dark vision to see down through the depths of the water. Attached to the tentacles, is a huge eyeball creature! It’s unblinking eye fixed on the underside of their boat. Hoping it’s just some kind of welcome party, the group waves nicely to it and hunker down. Not very welcome-like though, massive tentacles begin bending to wrap, and probably sink, their boat! Time to attack. Magic flies, and swords swing. Bach focuses on the bulbous eye, while the others gang up on one of the limbs, all the while massive tentacles moving nearer and nearer to crush them to oblivion. The gang-up finally pays off with a final hack; it’s thick, sticky blood spurting down on them. Unfortunately however, severing the tentacle from the main body only leaves gravity to control it. *Thwap! * With a wet and floppy thud, the falling tentacle smashes down on the boat, sliding off and sweeping almost everyone on board splashing into the lake with it! Veidt and Anya are the only ones who manage not to fall from the vessel. The others splash about the dark waters fighting to stay afloat, knowing how helpless they are to attacks now. They scramble as fast as possible back on board, Anya and Veidt helping best they can. When they ready themselves to fight off the second tentacle though, they see that it’s been withdrawn. They look down at the water and see bubbles break the surface as the eyeball creature darts away through the dark depths. Breathing a collective sigh of relief, they continue on towards the pyramid. The boat bumps against the pyramid with a soft *tunk*. They’ve arrived. Veidt blows out the candle so it doesn’t use up while they explore, and they jump out. There are steep steps going up and around to the top of the temple to their right. There is no chanting or other noises, so they make their way up. At the top, they find the area abandoned, but right at the center there is something very menacing. They look down into a pit to see something that can only be described as the depths of hell. Bach takes a copper coin and tosses it in, but it only falls down down down and disappears into the fires. The only other interesting thing around are large hoof prints melted into the stone leading away from the pit. They check them, but see that they’re cold. More of those square gold coins are littering the ground as well, so they grab them up and decide to go. Making their way back across the lake, they see no sign of the eyeball monster, and make it back to shore safely. Kethra grabs the numb of candle as they leave the boat. Then, up and out they go. Closing the door behind them, they head off towards town again, proud that they have finally finished something. Not much happens on their way, except for a chance sighting of two trents across the river just before town. The group holds Riia back while Anya, being inclined towards nature, calls out to them asking if they’ve seen anything strange lately. They haven’t, so Anya warns them about the dragon, Blightfang. 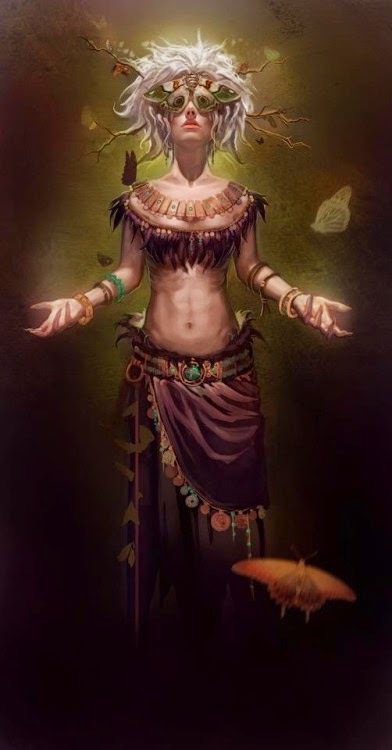 They inform the party how she hasn’t been seen since the demons brought Chaos upon the land, long ago, and to talk to the Alabaster Lady in the town about it. Anya thanks them for their information, and they set back off towards town, intrigued how this has happened before, and wondering how it was ended the last time. What will the party find in town? And who is this mysterious Alabaster Lady? Thanks to Nadia for the write up!! It happens that when you put a group of people together there can be friction. My Wednesday night D&D Encounters game had been having that issue for a while now. Of my 6 regular players, 3 were great, and 3 consistently rubbed each other the wrong way. I hoped that they would put aside their differences and just enjoy the game. Instead what happened was they brought their issues to the table, and it was disruptive and unpleasant in the extreme... and I sat back to let it play out. With the exception of the 17 year old, everyone in the room was an adult (legally anyway), and I wanted them to act like it. Unfortunately the behaviors escalated, and feelings were hurt. Everyone felt ignored, marginalized, and treated with disrespect. I think my initial approach was the correct one. 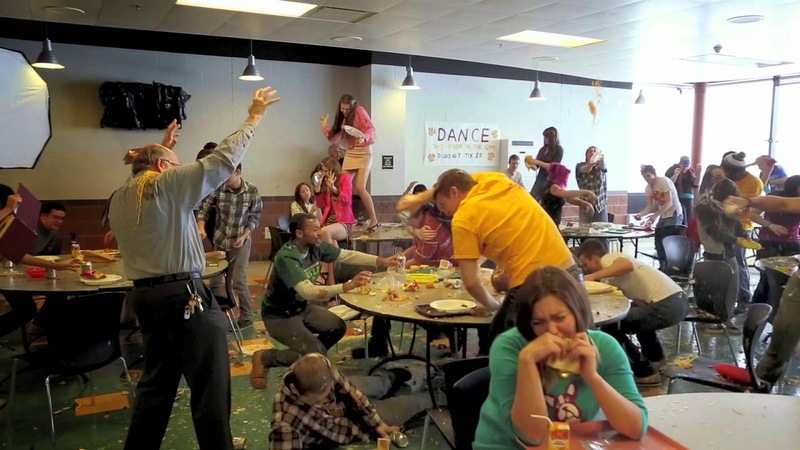 They are adults, and should be treated as such, not schooled like disobedient middleschoolers. 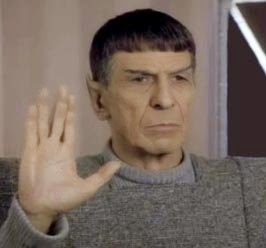 I also think I could have been a more proactive force for cooperation. Things got worse and I found myself wondering why I was bothering to run a game for people who didn't like being around each other. I had several offline discussions with individual players, and it seemed like everyone was on the same chapter, if not the same page… but getting everyone onto the same page? It reached the point where one of the players was ready to quit the group, and I was near ready to stop running. I just didn't want to deal with it. But I also realized that it was my table, and so in some ways my responsibility, and I wasn't quite ready to throw in the towel. Would the departure of one player tip the scales and make the game better? Maybe. Did I want to lose any of my players? No. The biggest problem, from my point of view, was that there wasn't nearly enough communication. They weren't a party, they were 6 individual players who occasionally managed to go in the same direction. They didn't respect each other, or their time at the table. The announced departure of one player spurred the rest into action. It really was the catalyst that changed the dynamic of the room for the better, much to my surprise. I arrived last week to game to find the players had talked and decided that they'd all give it another go. We spent the first 30 minutes of our 2 hours talking it out, literally going around the table and airing our issues, sharing our thoughts, and apologizing to each other. Even me. Like I said earlier, it's my table, and I feel a level of responsibility for what happens at it. Beyond talking it out, the players decided to nominate a party caller. This is the first time I've played in a game where a party caller has been used, and I’m actually thrilled to see how that will work out going forward. They also decided that they would make all decisions out of character first, and then role play it out afterword. Both of these choices were very effective last week, and definitely helped keep the players together as a party. 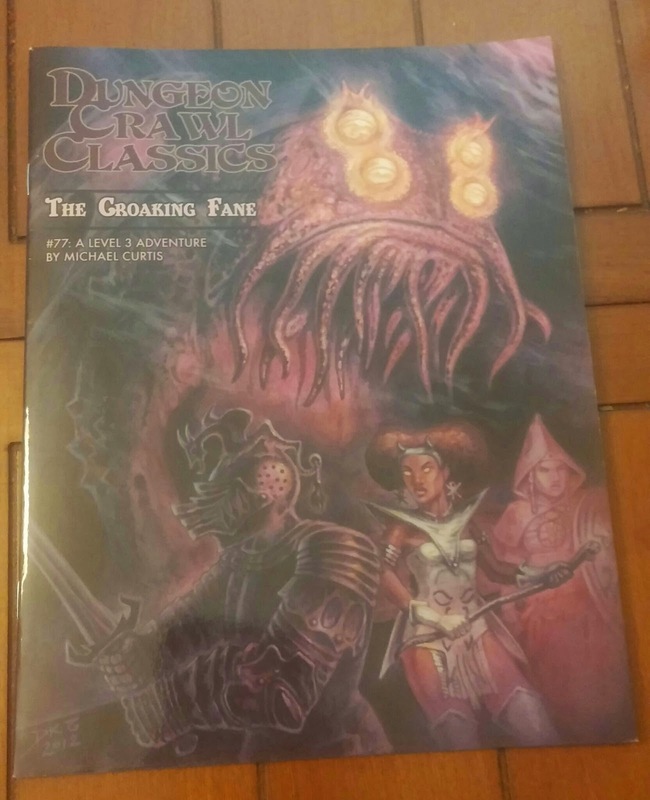 In the end, (or at least so far) my players decided to act like adults, and tonight they'll find they each have a new shiny point of inspiration to start the session off with. 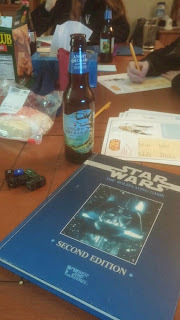 A year ago (almost exactly) I began a review of the Blue Rose RPG... and I never finished it. Look, last year sucked even more than the Blue Rose setting, and I just didn't have it in me. Last week I pulled out the book again to give it another read through and pick up my review where I left off. Then yesterday Green Ronin announced that they were re-releasing the Blue Rose RPG using the AGE rules engine, and funding it via a kickstarter. So it seemed like a good time to repost the first part of my review. The rest of the review will continue in May after I get back from my hike. 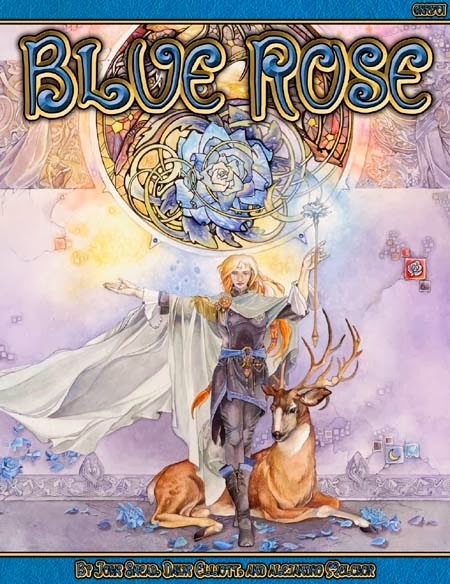 Blue Rose RPG in some ways is a very typical d20 clone built around a style of romantic fantasy fiction exemplified by writers such as Mercedes Lackey, Diane Duane, Tamora Pierce, Marion Zimmer Bradley, and Tanya Huff, just to name a few. Their works usually have a plucky but downtrodden protagonist with an untapped magical potential, an animal/spirit/magical companion, some true friends, and usually (by the end) love. When well done, it can make for great reading, especially when you’re 14 years old. I’m personally a big fan of Lackey’s earlier books like the The Last Herald-Mage trilogy, By The Sword, and the Mage Wars trilogy, though it’s been well over a decade since I read any of them, and the last Valdemar book I read… well, it just wasn't good. 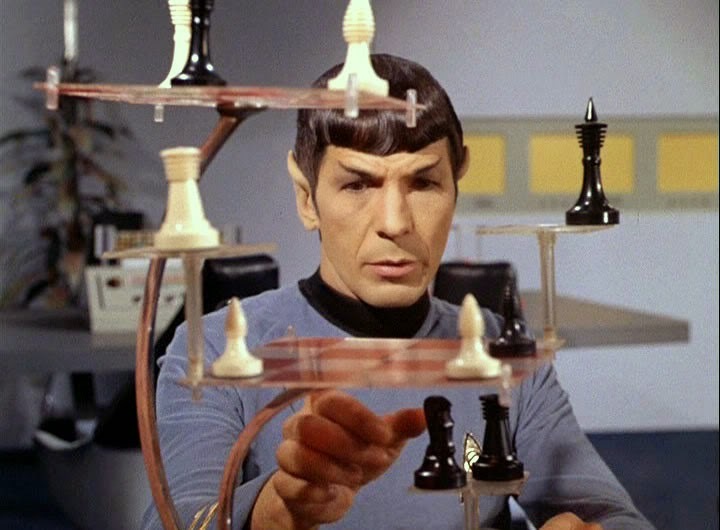 If you've ever played a d20 game, just about everything mechanically should feel pretty familiar. Apparently this was Green Ronin’s initial True20 product. 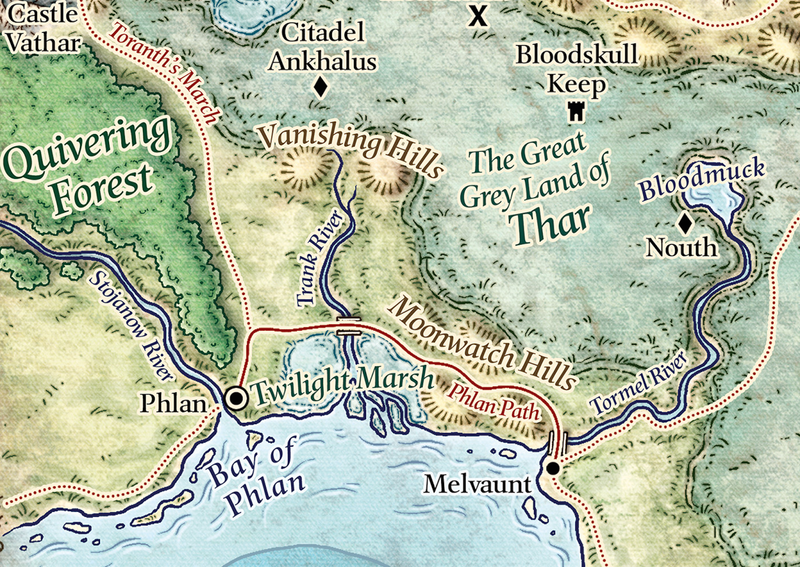 What probably will feel very different from most other d20 games is the level to which the campaign setting is the star of the show. This isn’t something I've encountered very often, except in core books for licensed games like B5, Star Trek, or Star Wars. In Blue Rose, it’s not only the main focus, it steals the show. The Great and Powerful A to Z Theme Reveal! As for the last several years I am participating in the April A to Z challenge. Extra challenging this year, since I'm going to be away from the internet for most of it. Luckily for you, I've already written most of the posts, and will wrap up the rest before I go offline. But what are my posts going to be about? 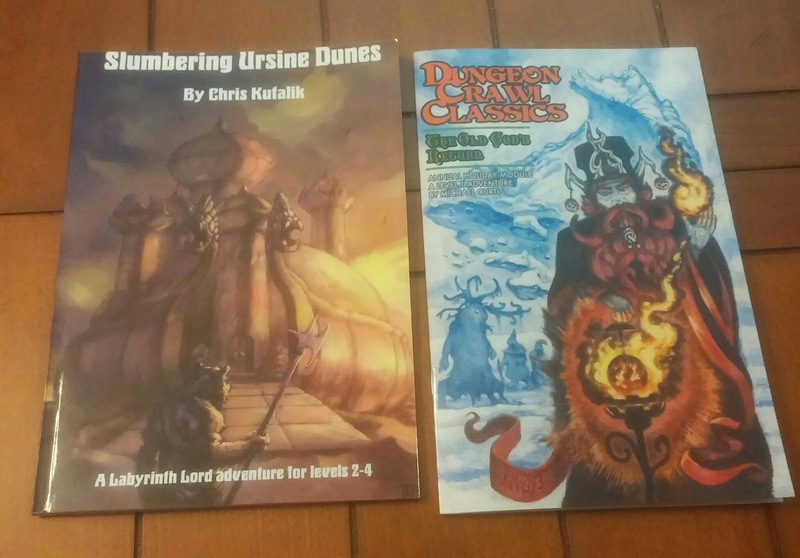 Well, I took Michael Curtis' Dungeon Alphabet, rolled on each of the charts, wrote a bit about each, and made a matching map. 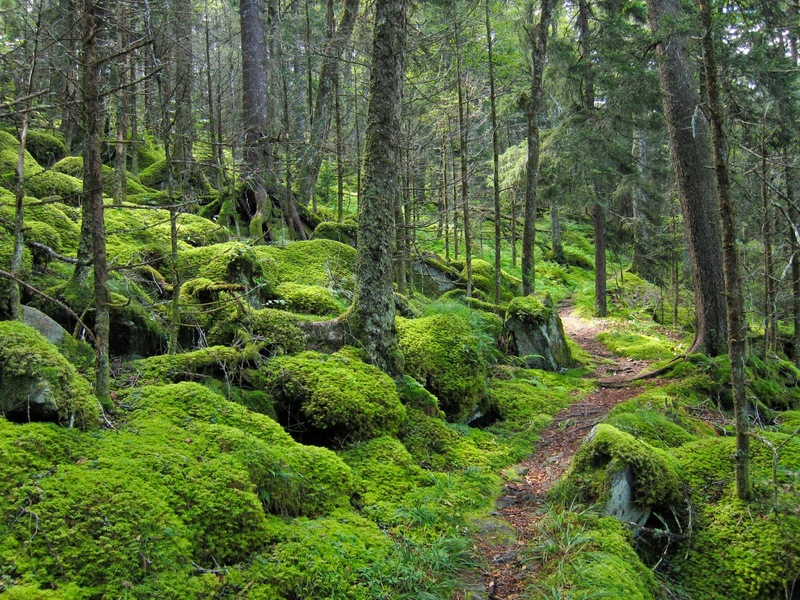 I've got hiking on the mind... You can expect more of this as we get into April. Last summer I made a 5 day 90+ mile backpacking trip on the Appalachian Trail in Maryland, going from the PA line down to Haper’s Ferry and back, and I wrote about it here. Well, I’m hitting the trail again. In a couple of weeks, I’ll once again start at the PA MD line, but this time I’ll be heading north through Pennsylvania. I’m taking 14 days to cover 230 or so miles, for an average pace of about 16 miles/day, which is actually slightly less than I was covering last time. I’m still in the process of sorting out what I’m going to bring with me. I know my pack is going to be heavier. More food for one thing. But the basic list will be the same. One thing I have to consider is the weather. Since I’ll be going in April, it’s going to be cooler. I probably won’t have to deal with snow or ice, but it’ll still probably get down to 40 or so at night, and can get pretty warm during the day. Keeping that in mind I picked up a couple of things that I didn't have last time. First up is a new hat. My usual headgear is a Orioles baseball cap which was once black, and is now a brownish grey. To replace it, I ordered a 4 Panel Large Bill Flap Hat. 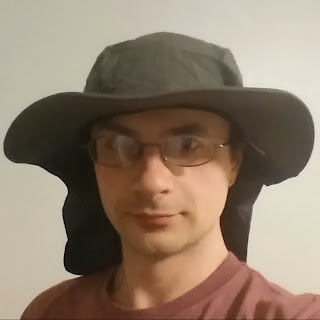 It might be a bit overkill, and certainly looks pretty dorky, but if I end up getting a lot of sun and/or rain, I think I’ll appreciate having it. I also picked up some new convertible pants that have removable legs. I only wore shorts last time, but I figure there’s a good chance I might want actual pants at some point on the trip. About food… That’s harder to figure out. I’ll be bringing plenty of GORP (Good Old Raisins and Peanuts), oatmeal, instant coffee… I’m not sure what I want to do about hot dinner type foods, or if I even want to bother. Some pasta with olive oil and seasoning might be a good option? We'll see. Now that the giant skeletons are out of the way, the party members have the leisure to actually look around the Temple. Bach peers under the propped open door to check for Blightfang’s presence, of which he finds none. Kethra acquires herself a nice thigh bone from one of the massive skeletons for her use as a handy club. Meanwhile, Guy notices two tracks trailing behind the center statue, and entices one of the others to push it open with the assurance that all is trap-free. The statue glides smoothly across it’s tracks, revealing a dark stairway leading downward beneath it. 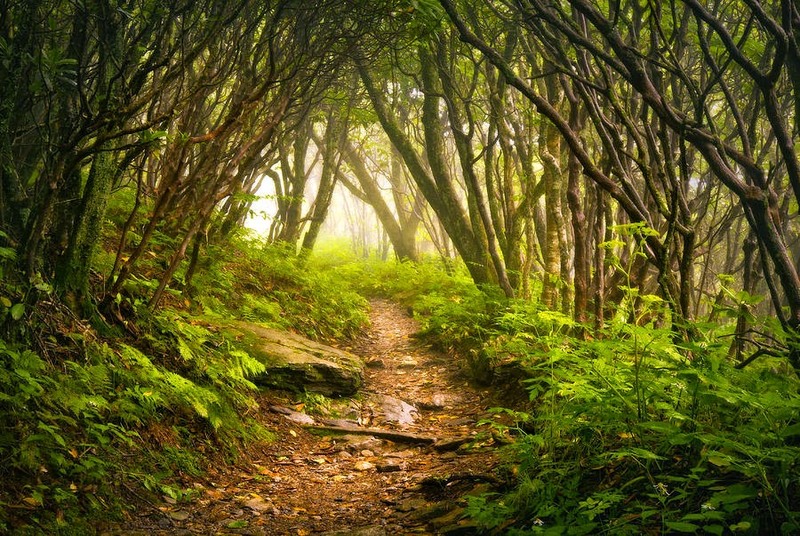 The scent of stagnant water and damp dirt are the only things to greet them. Grabbing a large rock, Nessendra imbues it with light and tosses it in. It’s trip down the stone steps are unhindered, and they hear it hit dirt eventually, but all are still reserved about going down. All but Bach, that is! After realizing that there is somewhere dark and fearful in the vicinity, he charges down, Verdt sending dancing lights chasing after him. The rest of the party follows a bit more cautiously, and getting to the end, they come to a long hallway going off into yet more darkness. Walking along, Guy notices strange square gold pieces sporadically littering the ground. Money laying around so free and accessible? He decides to pocket them whenever they appear; Kethra, unbeknownst to him, making a mental note each time. They come to a door off the side, but still wondering what lay ahead, Bach kicks the glowing rock which flies to the end of the hall where there lies a second stairway down. They decide to go into the side room first. Bach kicks it, and manages to break a toe. However, it does seem to loosen the door. Lifting the door with ease, Kethra props it open with her bone club. Inside, there are bejeweled carvings of the same creatures they fought upstairs along the walls, as well as a stone sarcophagus in the center of the room. Guy is the first to venture in, making his way straight to the jeweled eyes of the creatures, and begins prying them from the walls with his dagger. Nessendra, not wanting to be around such sacrilege, walks off to investigate the second stairway. The group searches the stone sarcophagus and finds some non magical items bearing the mark of an evil god. Moving on, they venture down the next stairway, arriving in a large room with a long scum covered pool of water. Skulls bobb up as they get closer, but only seem to want to watch them. The party also hears something like a rhythmic chanting far off through a doorway on the opposite wall. Thoroughly creeped out, the party decides it would be best to leave now, before terrible things happen. Just as they all turn to leave, though, Guy is overwhelmed by curiosity and dashes towards the doorway, peering through. More stairs down. Telling the others that he’s just going to have a peek, he sneaks his way down quite a ways until he find himself on a black sand beach looking out on a dark lake, a lit pyramid far off in the distance. The others, hearing no screams of pain, make their way down the stairs to said beach. The chanting has become loud and reverberating down here. There are definitely some super baritones in the group. They also notice a boat floating a little ways off, and a large stone to their right with a glyph carved into it. Verdt tries to read the symbol, but only manages to get a bit nauseous. Bach, trying his hand at it, has an altogether different reaction. A thought drifts into his mind, and he suddenly desires nothing more than to rip the heart from his nearest companion and take it to the temple for sacrifice. The others hear him begin to chant in rhythm with the ones off in the distance. Turning, they see his eyes have turned black and menacing as he evokes his energy blade. Riia thinks quick, binding him with her vine spell, and Guy conks him on the head with the pommel of his rapier. Luckily, that was all it took to bring him round. Making sure Bach is really back to normal, Riia unbinds him and covers up the glyph. Their nerve wavering, they switch their attention back to the boat. Guy uses his mage hand to tie a rope to it, and while Kethra pulls it taut, he climbs his way over to it. The boat is empty except for a burning candle. He jumps in. Runes along its sides light up, and it lurches suddenly as it begins to glide out towards the pyramid. Barely holding in a fearful squeal, Guy jumps out and splashes back to shore. They look on as the boat slowly drifts to a stop. Looking at each other and nodding, they decide that’s enough creepy stuff for one day. It’s time to go. They speed walk out of there lickady-split, rolling the statue back into place, wedging a stone in the rails, and removing the stone block from the front door to close it after they’re back outside. They then set off for town again, getting as far away as possible before setting up camp for the night. They do the regular watch times with two people each two hour period. During the third watch, Kethra hears something moving in the distance and yells a warning. A few of the party members awaken. Nessendra, Verdt, and Guy, alert and listening for anything else. Three ghouls come into view, and Kethra shouts out a war cry as they run towards each other. The three awakened members join in; shooting magic and stabbing with swords. The sounds of fighting finally wake Riia and Bach. Bach, having dozed off on watch, jolts awake with a loud snort, shakes off the sleep and gets in there, shooting an agonizing blast so powerful the targeted ghoul explodes! Riia, still half asleep, sort of fumbles around for her swords, her feet getting tangled up in her blankets. And Anya, that lazy girl, acts as if she’s not even there! The party kills the remaining ghouls off quickly; Riia, running out and at the ready just as the others are cleaning themselves up. They decide to set off again since it’s nearly morning, confidence bubbling over from their easy win. Guy, a little more affected by the lack of sleep than the others, sneaks a nap on Kethra’s pack; her wondering why it had gotten slightly heavier than she remembered. Marching along, a rustling in the branches above make them look up. A giant spider is leaping down at them! It falls directly on Verdt, stabbing him with it’s poisonous pincers. Verdt is down. The remaining party members attack with full force! Even Nessendra brandishes her weapon, knowing it would be unwise to help Verdt while a giant spider remains on top of him. Even so, she is the second to get hit and downed! Their healer incapacitated, the others fight more feverously and finally kill the overgrown arachnid. Whew! What’s next for our heroes? Another feel-good romp with some wildlife? When is that next full moon, anyways? Will they actually ever finish a planned quest? We’ll find out next time on~ Weird! New! World~~~!!! Once again due to the wonderful weather that Maryland has been enjoying, my Friday night Weird New World game was going to be missing half of it's players. Not wanting to continue with only half the party, I offered some alternatives. The one that go the most interest was West End Games Star Wars. This is awesome, since I've got a ton of old books that are criminally underused, and WEG's d6 system is an elegant game from a more civilized time. This is less than awesome since I haven't run it since high school (almost half my life ago), and haven't looked at the books in a decade! I start by pulling up the REUP PDF (you know about this, right?) and printing off the character templates. Then I skim through the basic mechanics, make a few notes about difficulty, and then flip over to some of the other books I've got for an adventure idea. What books? When my players arrived, I had them go through the stack of pre-gens, and this is what they picked and their thumbnail backgrounds. They came up with all this completely on their own. It's so great when your players basically do all the work for you! On a spice run for Teyla's crime lord dad, they run into engine problems. The hyperdrive basically blows up, dropping them into a small system with a single rocky planet that's the completely under operation of the Lant Mining Corporation. The planet signals the Decade Pigeon, asking if they need assistance, and tells them to "land wherever, just don't hit anything." One botched landing roll has the Decade Pigeon sideswiping a cargo hauler before bouncing off and crashing hard. Takata is taken into custody, while the rest of the crew is brought in for questioning. Thankfully Baymax 21B-Em-Dee was actually unaware of the cargo that was being carried. After about a day of begging, cajoling, and using her feminine wiles Takata manages to get the guards to let her out, since there isn't anywhere for her to go. The entire planet has a single settlement, and her ship is busted. Takata makes her way to the administrator's office where Teyla is making use of her underworld connections to try to smooth things over. Once the administrator looks up her dad's name (not knowing it's her dad) he decides that blaming it on some little tramp ship vs blaming it on some mobsters who were looking for an ex-worker and ransacked the place when they couldn't find him seemed the better option when explaining this to his boss. 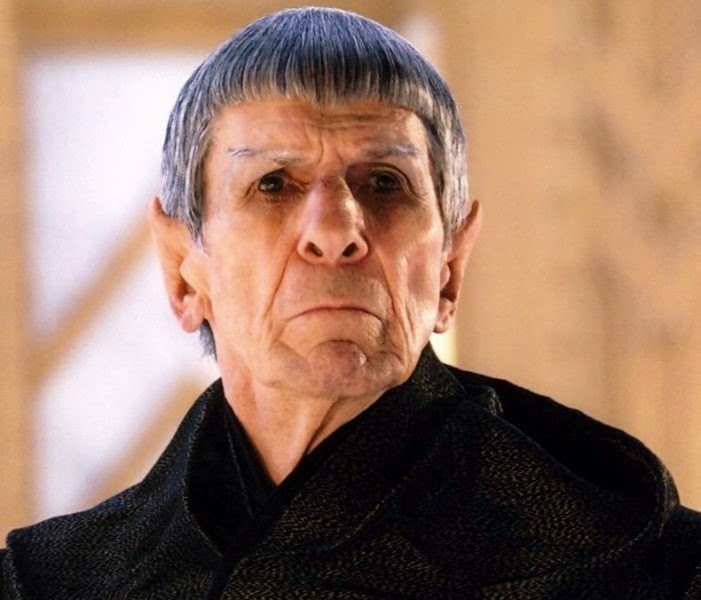 Meanwhile TeeTee'ee managed to find zimself a former planet worker at the factory where YT-1300s were made who's interested in helping out with the repairs. Ze even finds an old hyperdrive that will get them where they need to go, even if it isn't as fast as they're used to. After a fair amount of work, everything gets fixed, patched, or otherwise made to work, and they get on their way. Days later they arrive in the Canara system, manage to avoid the overworked Imperial Customs ships and made the delivery. While hanging out waiting on their next assignment they file a warranty claim on the hyperdrive that broke. A rather amazing bureaucracy roll led to the manufacturer replacing it free of charge and also throwing in a new paint job, and installing the replacement drive they picked up at the mining colony as a backup drive! Full work would take about a week, so the party went out on the town. Teyla and 21B-Em-Dee went out shopping, TeeTee'ee went hunting for some new tech to play with, and Takata went looking for trouble and ended up in a Rodian bar, stirring up anti-Imperial feelings. TeeTee'ee didn't have much luck finding anything snazzy worth picking up except a music player with some new tunes. Teyla had fun window shopping and then went for an expensive dinner where she met a tall dark stranger by the name of Cass who joined her for dessert and drinks before 21B-Em-Dee dragged her away before anything could happen. Checking in over the com, Takata was leading a protest outside the Imperial compound which was put down by Imperial troops. Takata got away but spent the night on the streets hiding in alleyways. After a passable lunch at Willy's Kitchen I returned for the second half of the day's events at Games and Stuff. 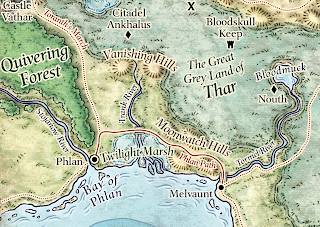 East of Phlan, perched on the edge of the Trank River sits the Crossing Inn owned and operated by the corpulent Ramsen. It was his call for adventurers that brought this group together. Of late, the locals have been taken from their homes at night while drums pound from the marsh. While speaking with Ramsen, a local boy burst into the inn, decrying the loss of the family that hires him, but even more, the loss of his beloved pig, who he describes in great detail. Taking up the call to arms, the party heads down the river to the farm the boy is from. As reported, the farm was empty of both people and large animals. Chickens were still in their coop... The boy gave the party the boat, and stayed to look after the farm. Heading further along the river, the party investigated several other farms, found one with a bull that was no longer contained in it's field, and was kind of pissed off. It had several darts sticking out of it's flank. A failed animal check, followed by a timely sleep spell allowed the adventurers to check out the primitive, but by no means crude darts. In the river, a pair of swimming forms were seen approaching the beached boat. Lizardmen slunk out of the water, and were promptly ambushed. One was killed outright, while the other was taken hostage. After interrogation he revealed, in an rare canadian-draconic accent, that a dragon had killed the local lizardman lord, and told the 3 clans that the leader would be chosen from the clan that collected the largest number of people and large animals in a couple of weeks. Not much later, another group of lizardmen approached, and were again ambushed. This fight didn't go as quickly, but with the help of the angry bull they were all put down. Taking the boat further along the river into the swamp, the party fought off a giant toad before making it to the central island where the various cages were. Dropping the thieves off at one end, the rest of the group made it to the other side of the island unseen. This was accomplished so successfully because at the center of this island was a low hill with 4 drums. With every beat, a bright light flashed, and the sound rumbled for miles around. Between the noise and the light, the lizardmen were too distracted to see us. I have to give serious props to Erik for his vocal talents in bringing the various NPCs to life. 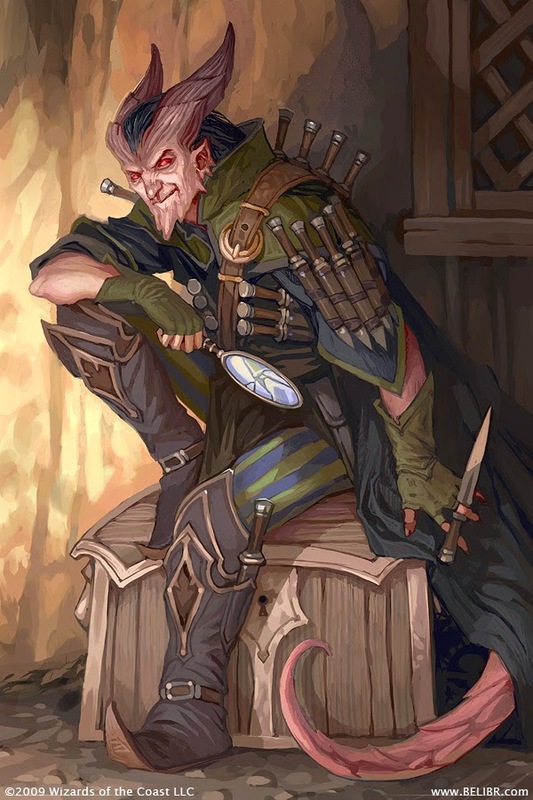 I had a really good time, and once again a blast playing 5e, and I'm looking forward to the summer Charm City Gameday! I haven't been buying very much gaming stuff recently, but two of my players were very kind at Christmas and got me a gift card to Games and Stuff, so while I was there for Charm City Gameday I took advantage of that gift card and picked up a few things. First I grabbed some airbrush paint and thinner. I recently tried using my airbrush, without much success, and I think it's because the reaper paint is just too thick. I also picked up some DCC stuff, both by Michael Curtis. I figure if I support his adventure writing he might, eventually, maybe, actually finish Stonehell 2. And finally I managed to snag a copy of Slumbering Ursine Dunes from Erik Jensen. It's a slight cover misprint, but I'm looking forward to seeing what insanity Chris Kutalik manages to squeeze into 65 pages! Getting to the mobile station known as the Grapple wasn't much of a problem, and between the Heiress and the Captain, we managed to get a good berth. Very quickly the heiress came to be known as "Princess" and like that other sci-fi Princess, this one was pretty useful when it came down to it. The next day the guy we're looking for shows up for his surgery. Once properly drugged, we enter the operating theater and start asking questions. Turns out he's sold the heirloom to the Zhodani, since it's some sort of memory crystal. The heiress is shockingly focused on getting the trinket back and isn't interested in killing the guy who killed her dad. I guess inheriting a lot of money can ease the grieving process. Leaving the surgery center, we find the Zhodani ship that was in dock has just left... so we give chase. A failed attempt at verbal negotiation leads to alternate methods. And once we've crippled their ship, we draw alongside to retrieve our loot. They launch a sneak attack through the docking ring, and by teleporting onto the bridge. Our quick thinking captain slams the engines, ripping the docking tube in half, while those at the airlock shoot the guy flying through it towards the ship. I then immediately run to the bridge where the captain and the Zhodani are in a firefight. Once again, I've got a clear shot at the enemy's back. Tip: Getting shot in the back at close range by a shotgun is going to put a crimp in your day. We return the bodies, collect the trinket, and sail off into the sunset with a potentially dangerous psionic item (or at least highly valued), and new powerful enemy. But that's a problem for another day. 1. No purchasing of new miniatures, EXCEPT if you use a joker card. Like in a deck of cards, you get two jokers to use on a figure purchase during the six months of the challenge. Could be a blister pack, an ebay bundle, or a single figure...you can't splurge. SUCCESS! No minis bought. 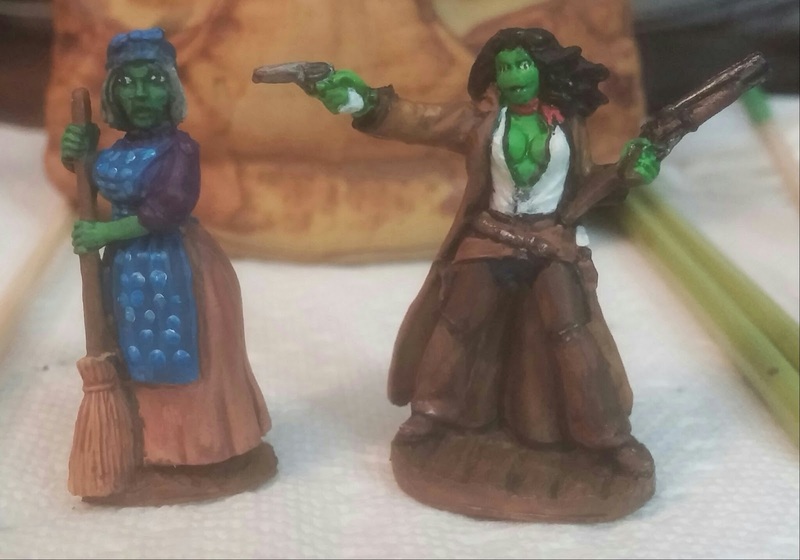 I paid to participate in a game at my FLGS, and as part of that was a zombie survivor figure, but even then at most that would have counted as a single joker. Also, the arrival of my Bones II shipment was the fulfillment of an order I made back in 2013, so also doesn't count. 2. Gifts do not count against you. Christmas and or birthdays etc. Also, if you're given gift cards by your hobby illiterate family or friends, you can without penalty use them on anything you want miniatures wise. SUCCESS! The only gift I received was a gift card to one of my FLGS, which I used on DCC adventures and some paint. 3. 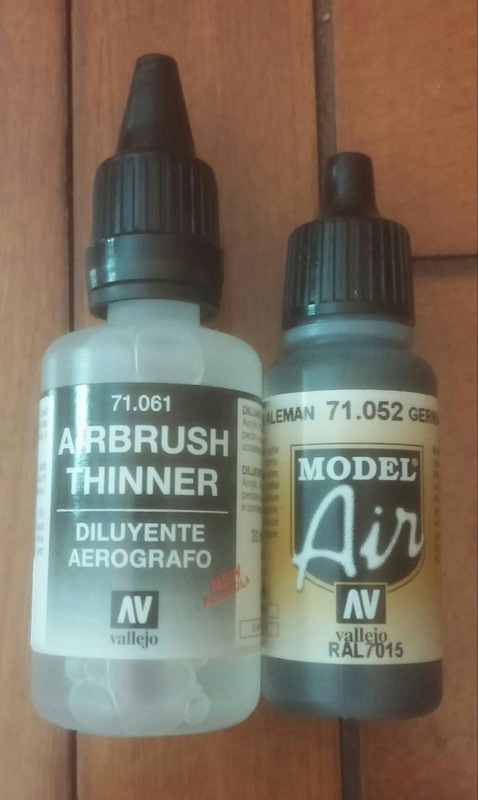 Paints, terrain (or materials), and other hobby supplies do not apply to the no purchasing rule. SUCCESS! I picked up a bottle of airbrush paint. Ok, this wasn't so much something to succeed at. FAILURE! There were a few weeks in late fall/early winter where I never picked up a brush, and was bad about posting anything to my blog. Other times I'd paint, and share pics on G+ but it would take a couple of weeks to get a real post up about it. 5. Zombtober will be part of the 6 month challenge so, Zombie related stuff during October is ENCOURAGED! SUCCESS! Not only did I paint some zombies, but I also painted some ghosts, ghouls, a mummy, wraith, and death knight! So what was my final mini count for the 6MMRPC? 48 minis. All in all, not too shabby. Going forward, I'm going to continue with the same rules above for the next 6 months. I will avoid mini purchases, post regularly, and track my progress. Oh, and my final mini of the challenge? Grandma, to go with my alien cowgirl. I tried to do a polka dot pattern, but I'm not really thrilled with how it came out. On the other hand, I'm going to call her done, and move on. 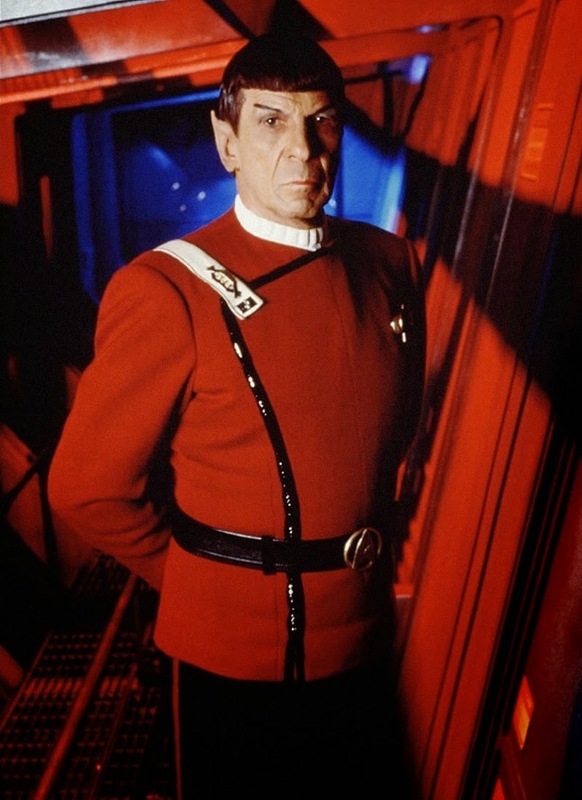 Rest in peace Mr. Nimoy, and thank you for everything!